Originally manufacturing both hard side and softside waterbeds and wholesaling waterbed mattresses to the trade. 1989 - We exhibited at our first British Waterbed Association trade exhibition in the NEC Birmingham. 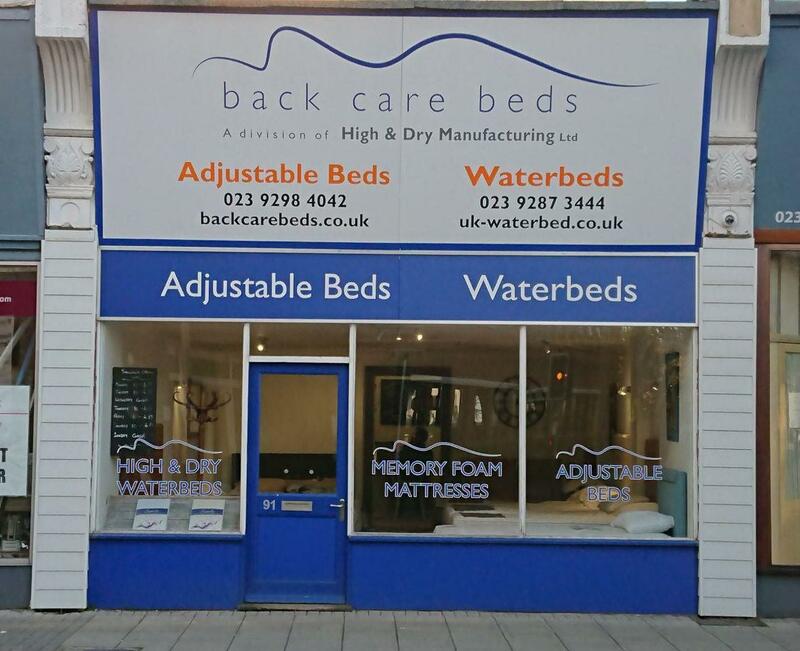 1992 - We began manufacturing adjustable beds and opened a second retail outlet called Back Care Beds in Southsea. This shop focused on adjustable beds and nursing beds for the public, nursing homes and care homes. 2002 - We became a limited company registered as High & Dry Manufacturing Ltd with High & Dry Waterbeds and Back Care Beds both becoming trading names and divisions of High and Dry Manufacturing Limited. 2002 - We moved into our purpose built factory in Chichester where we continue to manufacture waterbeds and adjustable beds.